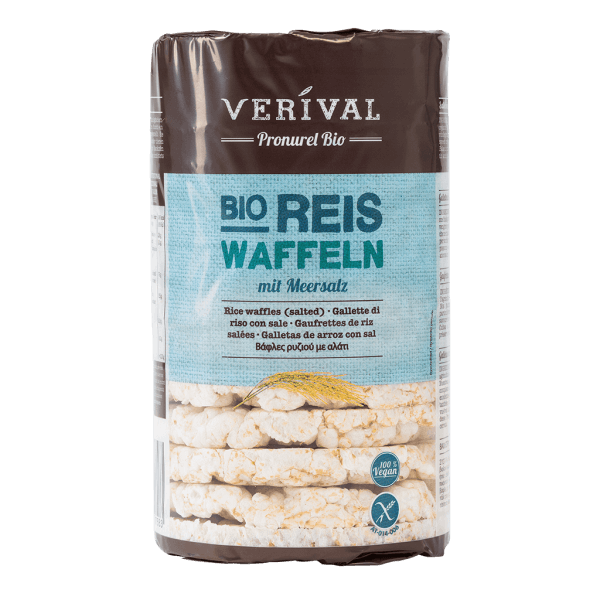 Verival rice waffles are produced from the whole rice grain using a particularly gentle process. They are light and digestible, and excellent as a base for sweet and spicy spreads and as nibbles. It goes without saying that the rice is purely organically grown. Rice waffles can be crisped up in the oven whenever necessary. Wholegrain rice* 99.8%, sea salt 0.2%. > Store in an airtight tin and keep in a dry place.